I have spent years trying to perfect the art of scone making. What is more quintessentially English than a warm scone slathered with jam and cream? I have tried dozens of recipes and have put to the test the tips and techniques of every expert baker I’ve seen, still, no perfect scone! 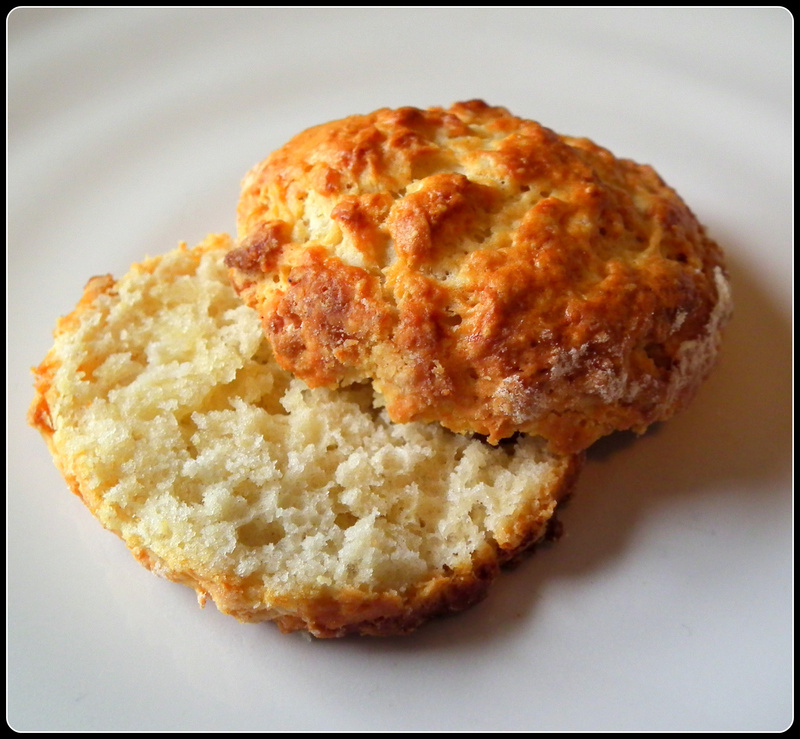 Maybe my expectations are just too high but I feel like my training and perseverance will one day be repayed with a beautifully soft, buttery, risen scone….mmmm…..
Today I tried another recipe, one from the Avoca Café Cookbook. 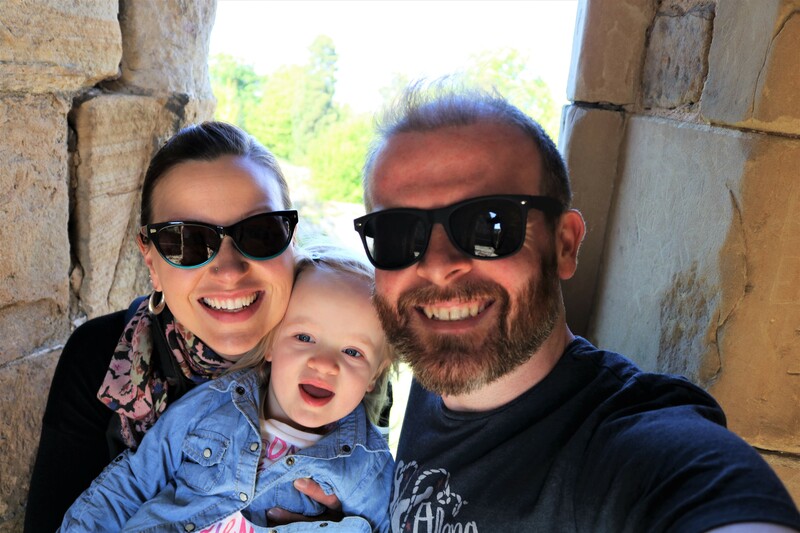 I discovered the Avoca Café on a trip to Powerscourt House in Co. Wicklow, Ireland. There I had THE most delicious scone I have ever tasted. It is a scone I have fantasized about ever since and have spent many an afternoon trying to recreate it. Yes, this is what I spend my time doing. On a recent work trip to Ireland the lovely Damian brought me back the Avoca Café Cookbook. Ain’t he sweet? Today I put their own recipe to the test. The result? A lovely light and buttery scone, but still the impressive rise eludes me! Maybe my self-raising flour needs replacement? I will, however, persevere and someday I will succeed! This is definitely my best result so far though and I really don’t think I’ll be getting any complaints about these little lovelies once they are smothered in homemade raspberry jam! 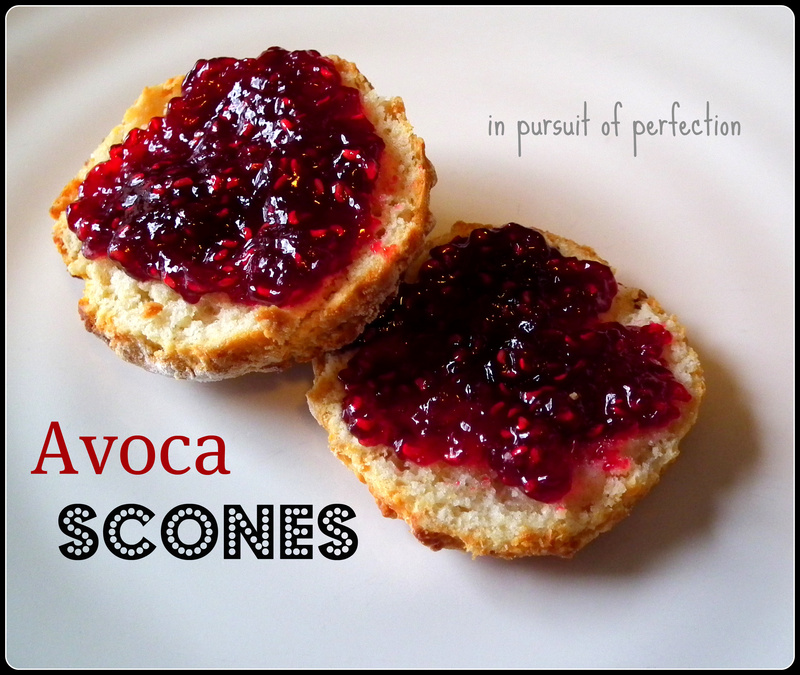 Want to give the Avoca Scones a go yourself? Gather the dough into a ball and turn it out on to a floured surface, then roll lightly with a rolling-pin to 1 inch thick. Cut out with a round cutter, transfer to a greased baking sheet and brush the tops with the egg glaze. Bake in an oven preheated to 180 C/350 F for 15-20 minutes or until well browned. recipe from the Avoca Café Cookbook, published 2000.